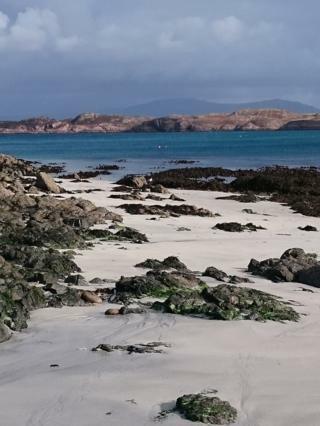 A selection of your pictures of Scotland sent in between 14 and 21 October. Send your photos to scotlandpictures@bbc.co.uk or our Instagram at #bbcscotlandpics. 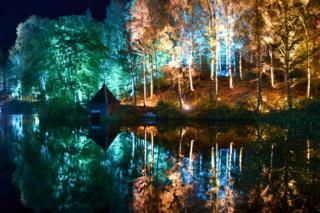 Image caption Faskally Wood becomes The Enchanted Forest. Gwyneth Bell, from Bearsden, enjoyed the light show. 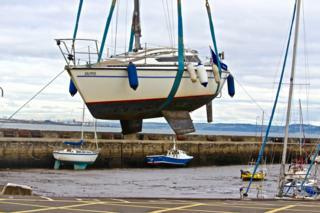 Image caption Boats in Musselburgh harbour prepare to spend the winter in the dry-dock. Pam Mackay, from Edinburgh, said boat owners helped the crane operators safely manoeuvre the boats. 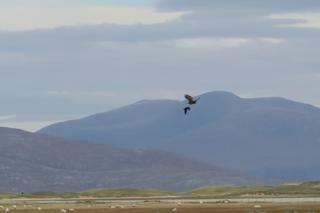 Image caption David MacFarlane said this golden eagle was harried by a rook on Harris. 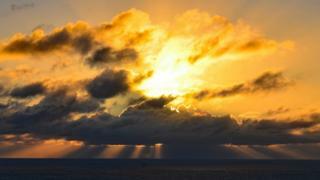 Image caption Charlie Harty sent in this photo of Mull of Galloway. 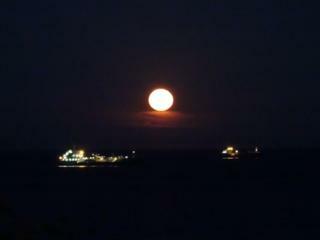 Image caption The Hunter's Moon rose over the Forth on Sunday., Photo by Margaret Winton. 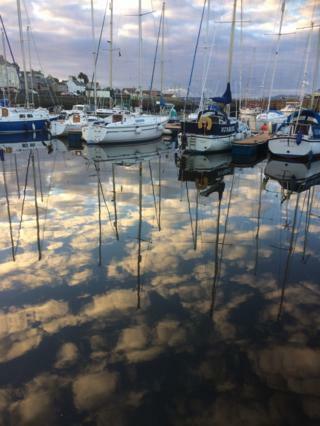 Image caption Fiona Palmer sent in this photo of Tayport harbour. 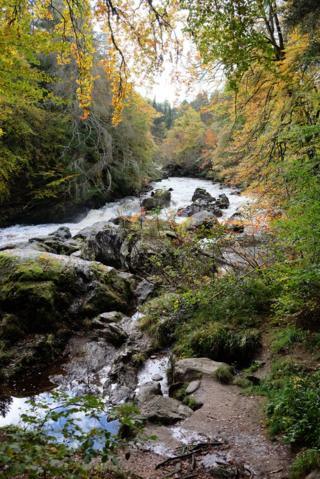 Image caption The Hermitage near Dunkeld. "A hidden gem", says Alec Davies. 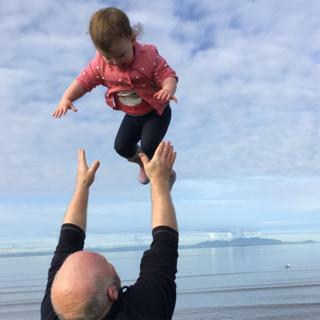 Image caption Cara had fun with her grandfather, and mum Claire Traynor, on Prestwick beach. 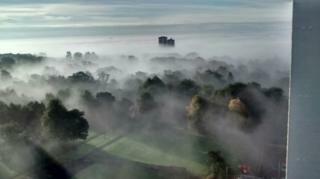 Image caption A misty Springburn Park. Photo by Dave Wilbury. 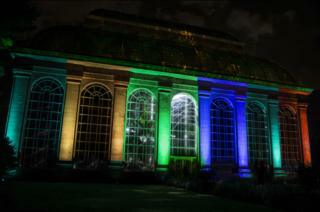 Image caption A light show at the Royal Botanic Gardens in Edinburgh. Iain Forrest and his wife, from Rosyth, were there at the weekend. Image caption Caroline Syme, from Gullane, wanted her daughter Iona to meet her namesake. 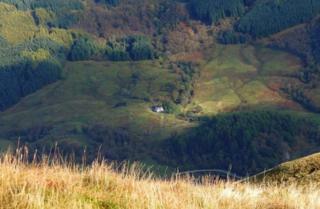 Image caption Andrew Phethean, from Edinburgh, noticed this cottage while climbing Ben Ledi on Tuesday. 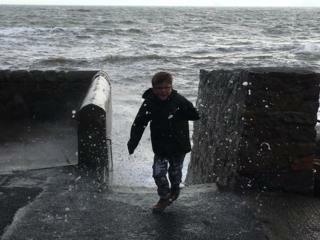 Image caption Harry ran to avoid the waves in Cellardyke, during a trip with dad Colin Smith, on Sunday. 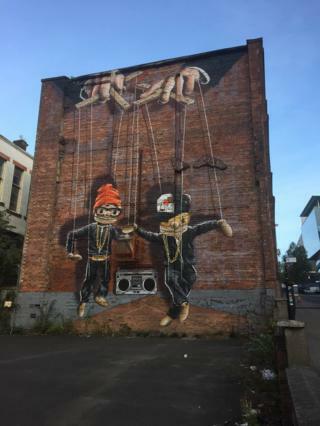 Image caption Andrea Sizer noticed this street art in Glasgow. 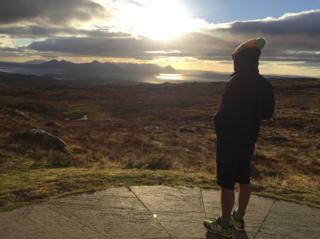 Image caption Paul watched the sun set over the Cuillin Ridge, from Bealach na Ba. Photo by Rebeca Araujo Sancho. 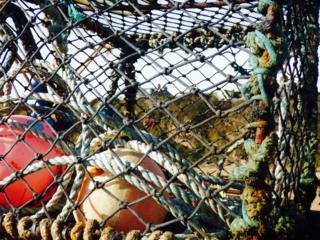 Image caption Thomas Reid visited Crail during schools' mid-term break. 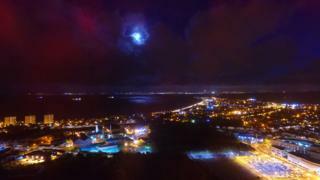 Image caption Daniel Mcarthur, from Kirkcaldy, took this photo of his hometown at night. 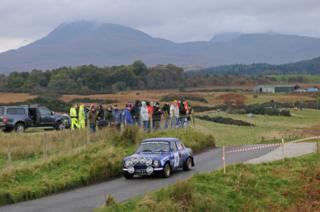 Image caption Spectators gathered for the 47th Mull Rally. Rob Lees watched the action near Duart Castle.